I love to go all out and spend hours cooking something special but sometimes you find something that is good AND easy. So I love to pass that along for a easy weeknight, long day at work, meal. I spent about 10 minutes getting this meal ready and it was a hit and after a long work day I loved that I spent so little effort. Layer cut up onion, carrots and potatoes in the bottom of the crock-pot. Pour 1/2 cup of water over vegetables. 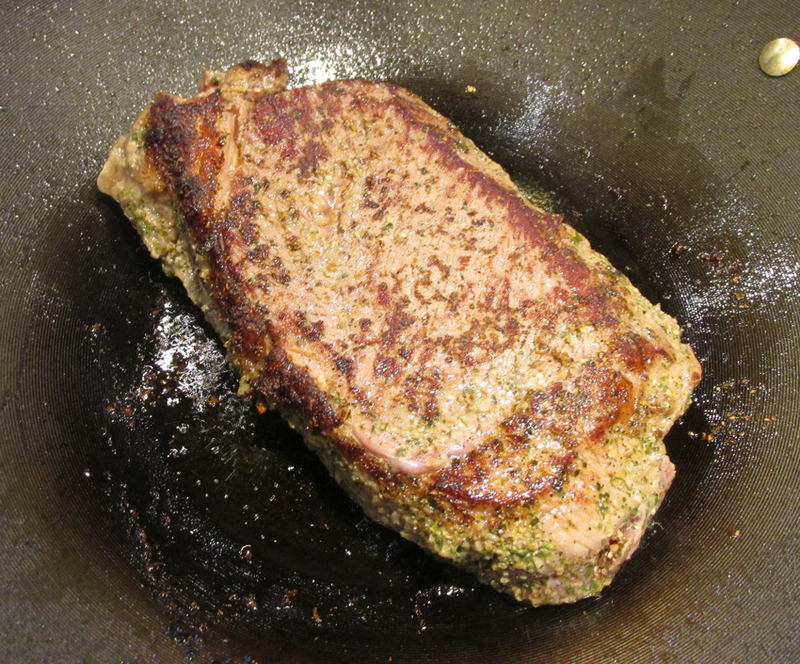 In a large skillet heat olive oil and brown roast on both sides (about 3 minutes per side). Add a little red wine or beef broth (about 1/4 cup) to the pan and whisk in about a tablespoon of flour. Cook to thicken. Add to crock pot. 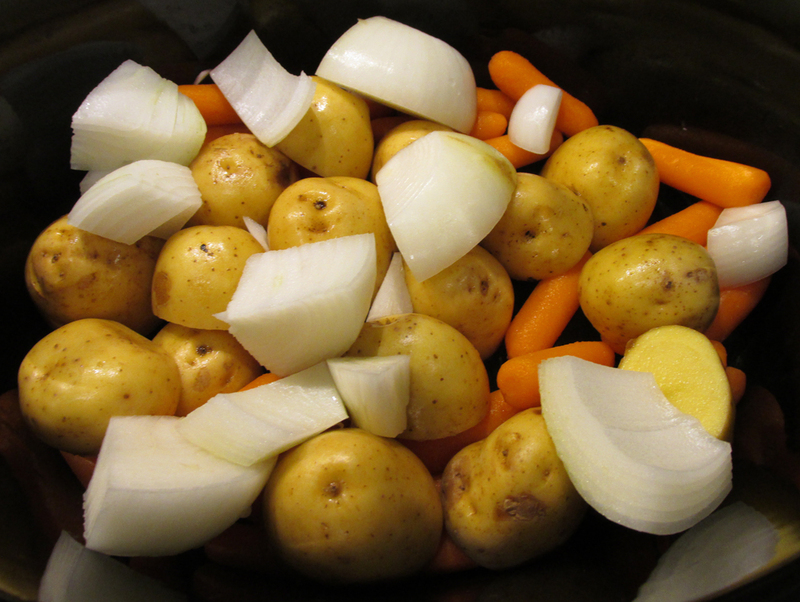 Place roast on top of vegetables and set for 5-6 hours on high or 8-10 hours on low. 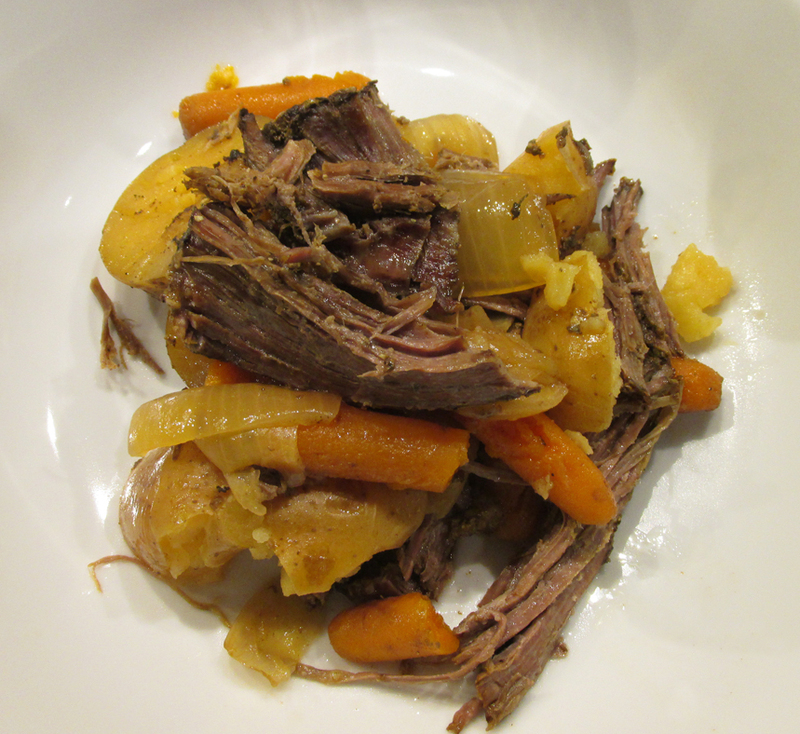 I used the slow cooking method and it was super tender at 8 hours.